How do I send coding assessments to candidates through Workday? 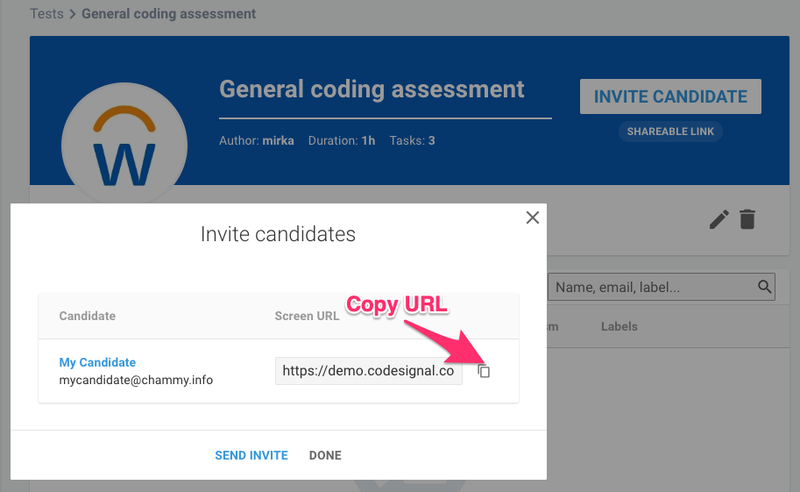 To send a coding test to a candidate or candidates using Workday, you must first use CodeSignal to get the URL for the test. You must be logged in to your CodeSignal corporate account. You must be logged in to your Workday account. 1.On CodeSignal, go to your Test tab and select the test that you want to send. 2. 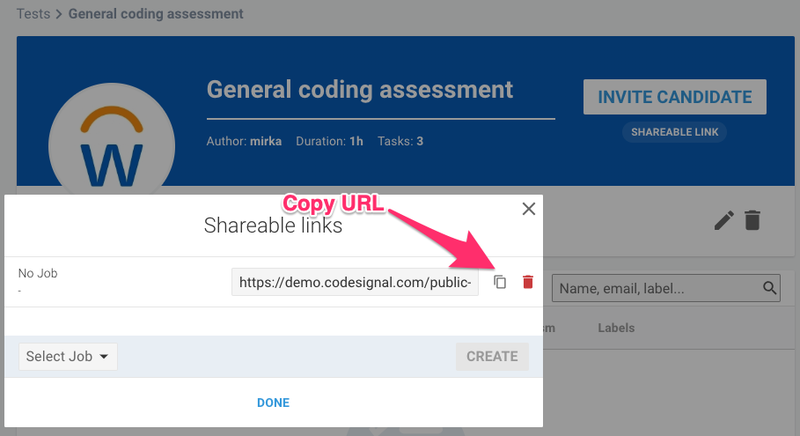 Choose either Invite Candidate (to create a private test to send to one or more candidates) or Shareable Link (to create a shareable URL that can be shared more broadly). 3. Copy the URL for the test, then go to Workday. 4. 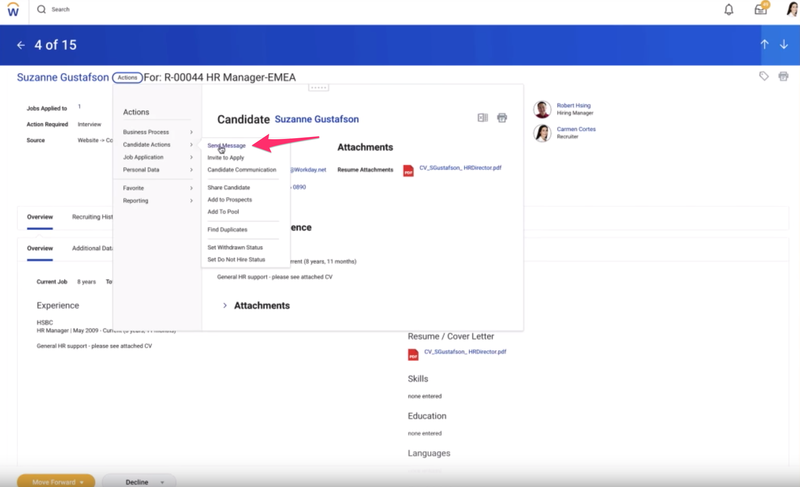 In Workday, go to the candidate's profile and click on the message icon. 5. Embed your test URL into your message. 6. Click Next once you are finished composing your message and send it to the candidate with your test URL embedded. 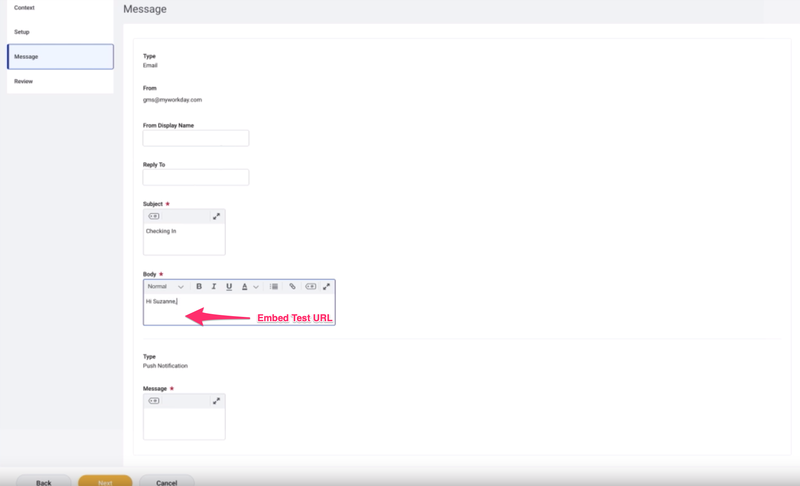 If you are using message templates to communicate with candidates, you can easily follow this flow to embed the Shareable URL in a standard message template and use it going forward. Message templates could be accessed by going to the "Set up" section, then "Message Templates". From there you'd either want to modify an existing template or create a new one for communicating the test to the candidate.